The brand new writing course debuting this summer in July with Dr. Thomas W. Jones, FASG and Dr. John Philip Colletta, PhD. in the Boston University Genealogy Certificate Program has SOLD OUT. In order to meet the demand, Boston University has added a second session. The new session starts on August 1st and runs through August 5, 2011. Sign up quickly as this is likely to sell out as well. See y'all in Boston this summer! This book made me think. That’s probably the greatest compliment I can give the book. It got me thinking on so many different levels. It’s not a book that you can rush through riding an adrenalin high but one that is best enjoyed slowly savoring the journey. I found myself dreading the arrival of the end where we would have to part ways. 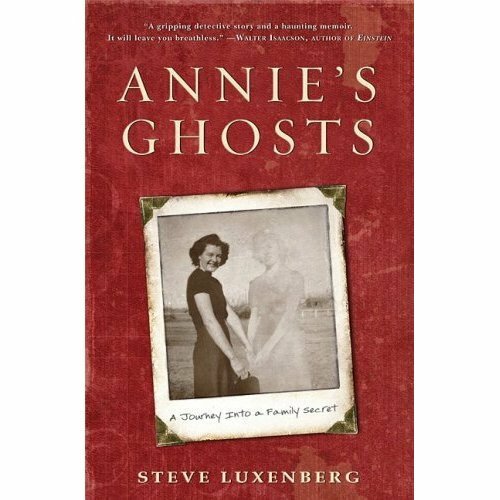 Annie’s Ghosts by Steve Luxenberg is the story of a son who discovers a family secret that has been hidden for a lifetime. Shortly before his mother’s death, Luxenberg learns that she was not an only child as she had always told everyone. His strong desire to understand his mother’s lifelong deception sent him on a quest to unravel the mystery of her hidden sister, Annie. The book tackles enormous issues such as historical views on physical disability, mental illness, immigration, family secrets, poverty, the nature of kinship and the Holocaust. Luxenberg does not simply relate these issues as they connect to his own family. Instead, with tenacious and tireless energy he delves deep into the social history of the subjects to help the reader understand contemporary viewpoints and perceptions. Luxenberg takes the reader on a journey through past stigmas of poverty and mental illness that make us confront where we came from and where we stand now. During his in-depth research Luxenberg left no stone unturned, even researching the magazines his mother read in an attempt to understand the perceptions of the time. The author clearly utilized his background as an investigative journalist unearthing record sources when none should have existed. Genealogists will be left with the impression that they still have a thing or two to learn about reasonably exhaustive research. This book is so personal that I felt like I was researching right along with the author. It’s a voyage where Luxenberg lays his emotions bare in a way that is raw, honest and candid. At times, I wondered whether I should be privy to such an intimate view of his family. As he challenges the past and himself, he also challenges the readers to identify their own true feelings of family history and kinship. Luxenberg’s ability to jump from the intimate to the cerebral demonstrates his exquisite skill as a masterful writer to control the unraveling of his story. This book succeeds because, like others of its genre, one person comes to represent the “everyman” in a moment in time. Luxenberg’s Aunt Annie stands as a testament to all institutionalized people and for all the families who felt shame and kept them a secret. Annie’s Ghosts is a perfect selection for book groups to read and discuss. The topics of family and human nature are familiar conversation starters for all readers. This is a powerful book! Every March I think it's fun to wear green (or green and orange if I am feeling cantankerous) on St. Patrick's Day. I've always thought it was endearing the way the Irish are so Irish. It's not my holiday but I like to get in the spirit and join in the celebration. This year it dawned on me - I am Irish. 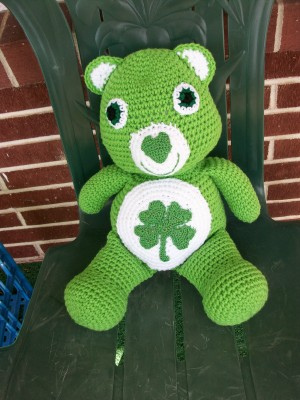 I do in fact have Irish ancestry. No matter, I still don't feel like it's my holiday. I don't feel Irish the way those people feel Irish. I never saw myself as one of those people who claim their Irishness publicly the way so many do. I guess, though I know it is wrong, that I thought you had to have recent Irish immigrant ancestors, or be at least half Irish to be one of those Irish. I understand that all it really takes is embracing your Irish side even if it is only one drop. The Irish are a very inclusive bunch. It's just me that's not connecting. You're going to think this is a bit strange for a genealogist but I don't connect to any of my ancestral nationalities. My mother's paternal line is all German. I grew up learning about German heritage and eating German inspired cuisine. My mom spoke regularly about her father attending a German-speaking school and how she was forced to learn German as a child. You think that would make me feel German, right? Nope, sorry, I don't feel any connection whatsoever to Germany or my German ancestors. On my Dad's side, our immigrant ancestor came over from Wales in the mid-1700s. We also have a smattering of English and Scottish ancestors. Do I feel British or have a desire to sing Rule Britannia? Nope (as we say in New England), nada. The strongest identity I feel is as an American but specifically as an American from the northeast. I feel connected with Pennsylvania, New York and New England. When I think of my heritage and my roots that's how I identify myself. I identify more with my farmers in New York, my furriers in Pittsburgh and my lawyers in Providence, Rhode Island than I do with any ancestor that came from across the pond. I'm not sure what it means about my sense of self identity. I'm not sure if it's right or wrong. But I definitely know it's strong within me. What about you? Can you identify with your ancestral nationalities? Can you call yourself Irish, French, German, Italian or other and feel it deep within your soul? Let me know what you think so I can figure out if I am a crazy lone wolf or not. I like to take lots of digital photos. I photograph mostly historic houses, historic gravestones, my gardens, my kids and scans of old family photos. What I'd really like is to be able to find my photos quickly when I need them. I've been on a quest for a long time to find the perfect photo management software. Before my digital photo collection gets completely out of control I'd like to get some sort of system in place. Over the years I've tried Extensis Portfolio, Picasa and using directories in Windows as a form of management. Nothing has worked quite the way I'd hoped. Database functionality that will allow me to search for my photos quickly and easily by meta tags, date or custom fields. Does not force me to upload photos or a website to a proprietary site. I want to be able to upload to my own url. Does not have all sorts of fancy image editing funcationarilty - except for rotate photo. When viewing photos, displays all the meta tags and allow me to click on a new meta tags as the mood strikes me. Allows me to easily switch between thumbnail view and individual full view. Does have drag and drop functionality. That's all I can think of for now! If you know of a program that fits this description please tell me about. As long as it doesn't cost a million bucks. If I were independently wealthy I would just hire my own programers. Since I'm not, I really need your help finding something out of the box. Looking forward to hearing your suggestions! This week at GeneaBloggers the discussion is all about conferences. Today's specific topic is asking for comments from attendees on what they would like to see at conferences. Thomas MacEntee and Randy Seaver have provided some very well thought out comments and suggestions on their blogs. I don't think my thoughts are going to be quite so organized. I would like to see a GeneaBloggers Lounge and more focus on helping bloggers meet at conferences. I would love to see an empty room set aside with a sign-up schedule much in the way RootsTech had impromptu mini-sessions. I would love to see speakers with the same interests be able to meet together with conference attendees to more thoroughly get into a discussion of a topic. I want to see more technology and writing topics at conferences. I'd also like to see talks on how to transfer your research into another form that can be shared - whether that be a book, scrapbooking, multi-media cd, etc. I would like conferences to focus more on distributing information through all venues such as email, twitter, Facebook,website etc so that I can be sure that the way I prefer to receive information is covered. I want to know about internet access fees, parking fees and other items like this clearly and prominently available before I make reservations. I would like to see the daily newsletter/event list published each day on the conference blog and fed out to Facebook and twitter. 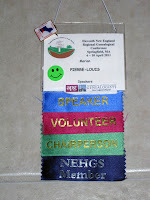 I think it would be fun if conference attendees could submit "tags" during registration to share their interests so that they could connect with other attendees during the conference that have the same interests. Wouldn't it be great if there were a central system so that conference attendees could walk up to a computer and type in a question, whether specific to research or to conference details, and be able to get a response to their question from anyone else at the conference? Likewise, it would be nice if there were a hospitality computer, where attendees could stop and see videos of the local area, local repositories or look up information on local restaurants. I know you are thinking the internet. But I'm thinking that local businesses might be willing to create videos such as these if asked. I'd like to see more virtual/live streaming conferences so that people like me who can't travel to national conferences much can participate without leaving home. I'd like more unopposed exhibitor time so I can actually get through an exhibit hall and see everything and talk to all the vendors. I'd like to see more exhibitors writing about their conference experience and their products on their blogs they way Mel Wolfgang of Jonathan Sheppard Books does so that I can see what they have to offer before I arrive. I could go on and on but I think that's enough for now. Tell me what you want to see from conferences! I just got finished reading Thomas MacEntee's article "Genealogy Conferences - Delivering the Content." This article is all about what it is really like to be a genealogical speaker. Thomas' discussion really hits the nail on the head by providing an accurate view of life as a speaker. I can't disagree with anything he says, either positive and negative. From the outside being a genealogical speaker may seem glamorous. As a speaker I don't find it that way. I would say fun and a lot of hard work would be more accurate. One thing that really struck a cord with me was when he said, "Don’t schedule speaking engagements too close together. They wear you out and you don’t notice until you’ve done 10 presentations in a month and wonder why you are so tired!" I try to schedule two talks a month. That seems to work well with me. I just finished presenting 10 talks in the last 6 weeks. That's equivalent to what I would normally do over five months. That was way over the limit for me. I can honestly attest that while I love speaking it was too much. Now I just feel exhausted. When you become exhausted it's harder to be as good a speaker. I'll be more careful in the future not to over-schedule myself. In the meantime I'm going to rest up before giving more talks. And just to re-iterate what Thomas said, there isn't a whole lot of money in speaking to the genealogical community. Looking back, I think if I could do anything differently I probably would have published something earlier in my speaking career. I think speaking and publishing go quite nicely together. Thomas discussed webinars, virtual presentations and live streaming as models of the future. I like this trend for all the possibilities that it has offer. It has great potential for the speakers and the audience. Speakers can reach a broader audience without all the travel. And genealogists can take advantage of great educational opportunities without leaving home. Both the speakers and the audience save money, time and wear and tear. I admit that from the speaker's point of view a webinar is very different. I didn't think that I would like it because there wouldn't be an audience sitting in front of me to give visual clues or add to the chemistry of the event. But after trying it, I admit that there are certain aspects of webinars that I like. I kind of had fun pretending I was a DJ sitting in front of my computer and talking into a microphone. Ask me again if I still feel that way after I've given one hundred webinars. But for now I'll keep trying it. If you are thinking about becoming a genealogical speaker, or perhaps you've already started, my advice to you would be don't force it. Do it because you love it. Being a speaker is a great way to ensure you keep your subject knowledge sharp. It feels really good when you really know your stuff. Speaking can also be really fun if you enjoy public speaking and meeting people. Not everyone does. And while traveling can get a bit grueling, having the chance to meet other genealogists and experts in different locations can often make up for that. I'd like to hear from the audience. What's your point of view? What do you like or don't like about attending talks (at conferences, meetings, webinars or other)? What do you like about speakers? 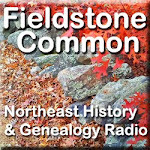 What's the most important take-away from a genealogical talk - new knowledge, an entertaining speaker, or something else? I bet I can become a better speaker from listening to your point of view. I'm working on a little local history project and I could use your help! I would like any information I can find on Vine Photographic Studio in Medfield, Massachusetts. 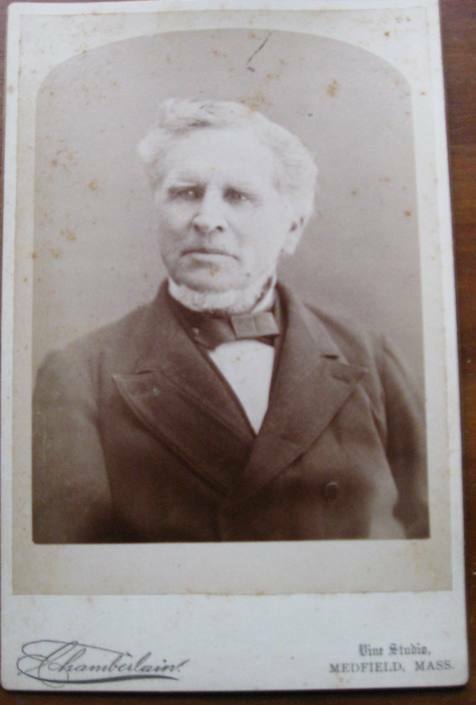 Below is a cabinet card photo that was taken by Vine Studio. Any information would be greatly appreciated! Thanks for your help! 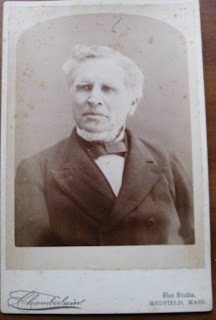 This unknown gentleman was likely a resident of what was then Medway, Massachusetts. Medway is now the two towns of Medway and Millis. Have you seen this photo? Do you know who the person could be? If so, please leave a comment below. Thanks! When my descendants visit my former residences (from the carefully prepared list that I've left behind) what do you think they'll find? If the properties haven't been altered too much they will undoubtedly find lilacs. 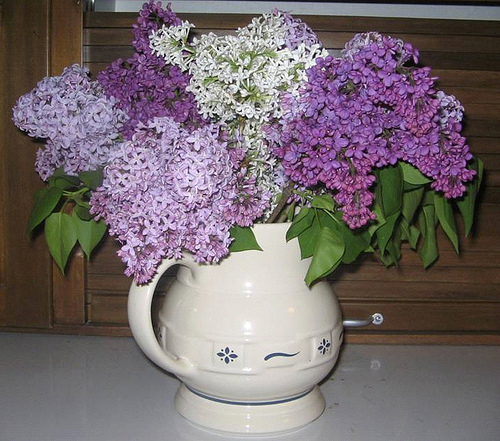 I love lilacs.They are a beautiful celebration of spring and the smell takes me right back to my childhood. My childhood home in Connecticut had easily twenty-five lilac bushes scattered in clumps around the property. Each spring I would clip the fragrant flowers and bring them into house, typically placing the jugs in the kitchen and my bedroom. As I've gotten older I've intentionally planted lilacs around the property of the homes my husband and I have purchased. 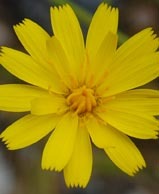 In this life it allows me to continue to enjoy my favorite flower. Just as importantly, it's a silent, indirect reminder of my existence. A secret code that could only be deciphered by my family members. No, there is no sign that these lilacs were planted by Marian Pierre-Louis. All the same, they will be a living, physical reminder of my existence. Genealogists spend a lot of time researching their ancestors. Some even reserve time to write their own memoirs. More often, it's like the cobbler's children who have no shoes. 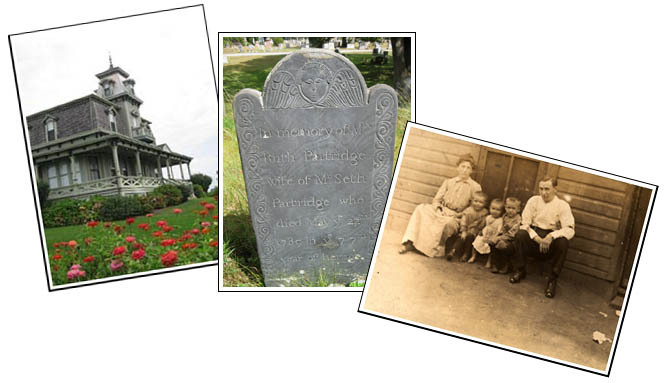 Genealogists focus so much on the past that some forget to leave behind their own story. I'm intrigued with the concept of leaving a breadcrumb trail for my future descendants. Whether that means in archival documents or actual physical clues that become part of the environment. Breadcrumbs is a new sub-series of the Roots & Rambles blog. Favorite plants and trees like lilacs are just one way of leaving a trace of yourself behind. I hope you'll follow along on the journey and consider leaving breadcrumbs for your descendants to find as we discover the possibilities together. Photo Credit: Photo by PINEAPPLE XVI used under the creative commons license. Getting More Out of Conferences. I Need Help! Previously I wrote "How to Attend the Perfect Conference" which touched on how to make sure you fulfill your research needs at a conference. But there's been something about attending conferences that won't let go of me. When I attend a conference it's wonderful to see old friends and meet new ones. But I am always bothered that I never really have the time to connect with certain people. And I would like to have more conversations. I mean actual conversations not just the two minute meet and greet between talks. For instance, Denise Levenick, the author of The Family Curator blog, came all the way from California to attend the New England Regional Genealogical Conference. Despite the fact that we were at the same conference for at least three days we never managed to connect. I think part of the reason was that we were staying in different hotels. Regardless, I was very disappointed at not being able to meet her. And unfortunately I probably won't be heading to California anytime soon. So how can I fix my problem of not being able to get real face time with other genealogists? I'm looking for suggestions to hear what other people do. The best opportunities I had for talking with seemed to be at meal time. I did get to talk with a number of my colleagues at dinner which was nice. But it wasn't really enough because many of the folks I dined with were colleagues that I see quite regularly in New England. I love them dearly but I know I'll be able to talk with them throughout the year. How do you make a point of connecting with folks at a conference? Do you go so far as scheduling appointments? Either time for coffee, meals or just plain old meetings? If I could solve this problem I think I could say that I really attended the perfect conference.